The 16 teams participating in the 2017 World Baseball Classic unveiled their rosters yesterday, and Revs all-time saves leader Mike DeMark made the cut for Team Italy. DeMark set season and career records last year here in York while showcasing his pitching talents night after night for fans at PeoplesBank Park. DeMark first joined the Revs in 2011 and made 13 appearances that season before moving to the AA level to pitch with the Mobile BayBears in the Southern League. That same year he advanced to the AAA level and began pitching for the Reno Aces, an affiliate of the Arizona Diamondbacks. He stayed in Reno until 2012 before moving to the Mexican Pacific Winter League and the Texas League. After a couple of seasons traveling around North and South America playing in different leagues, DeMark made his way back to York for the 2014 season. Last year in York, DeMark set club and career records with his outstanding performance on the mound. His ERA was a spectacular 0.76 over 47.2 innings and 47 games pitched. He had an amazing 35 saves last season, which put him at a total of 39 while wearing a Revs uniform, making him the club’s all-time saves leader. He also threw 62 strikeouts and had a 0.692 WHIP to finish out season in York. (February 8, 2017, York, Pa.) — The York Revolution revealed last night their first signings for the 2017 season, including the return of the greatest left-handed pitcher in club history and their All-Star third baseman. 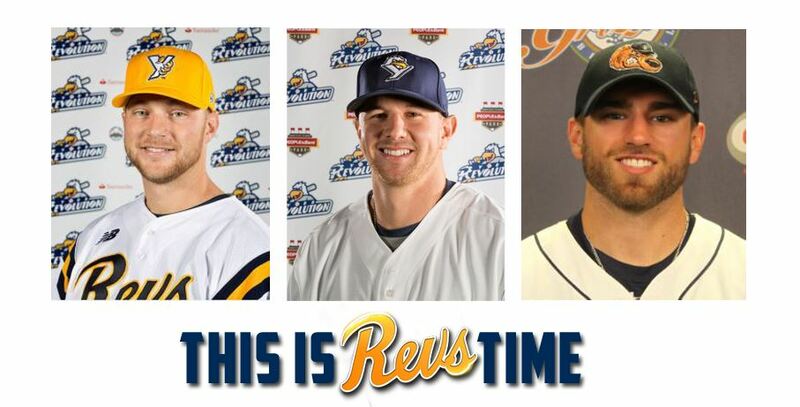 As announced by Revs manager Mark Mason on “Revs Hot Stove Weekly, presented by Shipley Energy” on SportsRadio 1350 WOYK, the Revolution have re-signed Chris Cody and Bryan Pounds and added outfielder Brandon Thomas as the first three signings for the upcoming campaign.